Company says changes have been made to "better align its businesses with its long-term growth strategies". Buckeye Partners L.P announced on Friday that it has made changes to its operating structure and related reporting segments in order to "better align its businesses with its long-term growth strategies". In a statement, Clark C. Smith, President and Chief Executive Officer, said: "As we focused on integrating the terminals acquired from Hess, we took the opportunity to reassess our existing business unit classifications. We realigned our business units to optimize the growth opportunities by leveraging the efforts, skills and synergies related to our management, commercial, operating and financial reporting activities. We believe this realignment will allow us to maximize growth opportunities in all four of our segments." 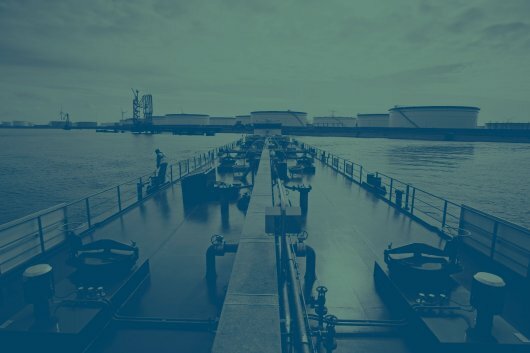 Buckeye's new Global Marine Terminals segment includes assets that primarily facilitate global flows of crude oil, refined petroleum products and other commodities, offering customers connectivity to some of the world’s most important bulk storage and blending hubs. The segment includes key hubs in the Caribbean at its BORCO facility, Yabucoa terminal and the St. Lucia terminal acquired from Hess, as well as in the New York Harbor at the legacy Perth Amboy terminal and the Port Reading and Raritan Bay terminals acquired from Hess. Khalid A. Muslih, formerly President of the International Operations business unit, will serve as President of the new Global Marine Terminals business unit. Buckeye’s Merchant Services segment centralizes all existing and new merchant activities to leverage common mid- and back-office support. This segment includes the Energy Services segment, the Caribbean fuel oil supply and distribution business and new merchant activities supporting the terminals recently acquired from Hess. Jeremiah J. Ashcroft III continues as President of the Buckeye Services business unit, which includes the new Merchant Services segment as well as the Development & Logistics segment, which is unchanged. Buckeye’s Pipelines & Terminals segment is comprised of the legacy domestic terminals combined with the domestic terminals acquired from Hess in Upstate New York, the Middle Atlantic, the Southeast, including Florida, and the New York Harbor, excluding the Port Reading and Raritan Bay terminals. The Domestic Pipelines & Terminals business unit, which is Buckeye’s largest, remains under the leadership of Robert A. Malecky.